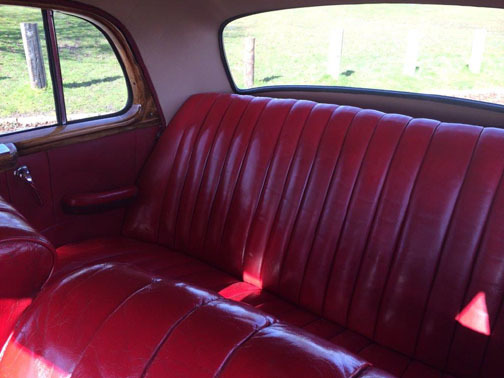 I just finished restoring my father’s 1955 220a Ponton sedan. 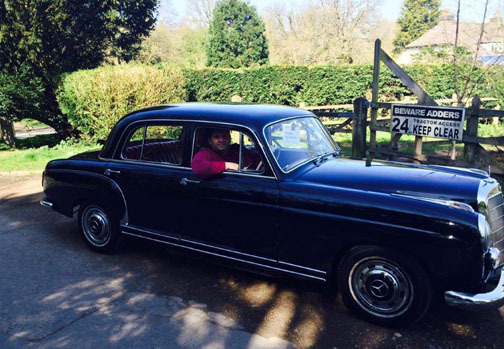 He learned to drive in the same model in Lahore, Pakistan back in the 1950s. Due to family conflict, the car survives, but is unobtainable. We decided to find an example here in the U.K. and restore it to its former glory so he could reminisce. 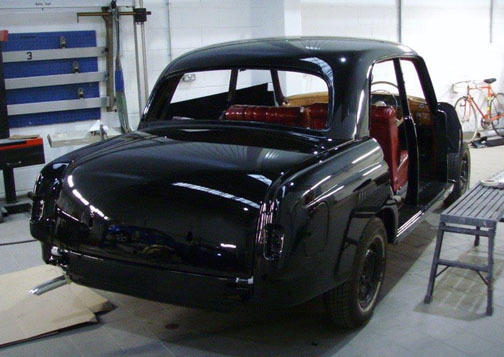 Thank you for publishing the photos of our Mercedes-Benz 220a. Here is the inspiration for my love of these cars. These are the cars that my dad parked 40 years ago – before leaving Lahore, Pakistan. They have barely 50,000 miles, but were parked due to lack of maintenance. They still reside in Lahore as a part of my grandparent's disputed estate. The photos were taken in April 2015. It is a life-long dream for my father and I to get these cars back on the road. Whether this will happen or not no one knows. Diamonds in the rough. 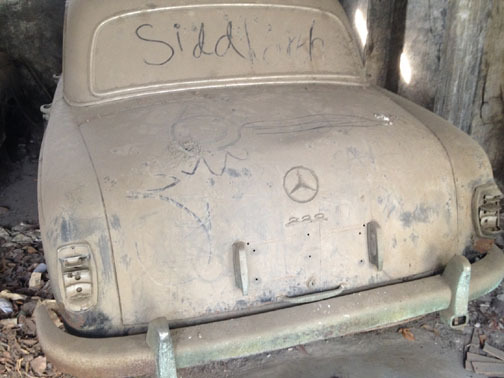 My grandfather bought the cars when they were about two or three years old. 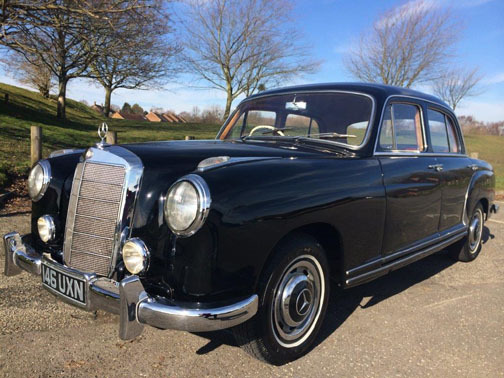 The 220a sedan was from a German doctor, and the 220S coupé was from a customer of the local Mercedes-Benz dealership. My grandfather saw the car there, and instructed the dealership to inform the owner that he had an open cheque, and to name the price. 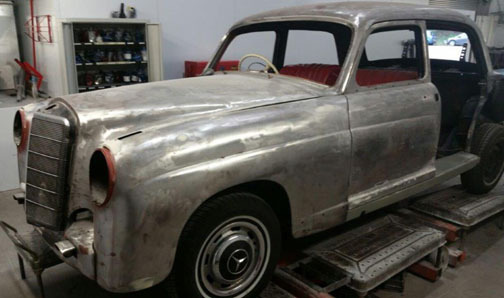 The 220SEb Fintail sedan (photos forthcoming) was purchased by an uncle who had a brand new crate Mercedes-Benz engine fitted in Germany before driving (long road trip) back to Lahore. Unfortunately, it sat outside for many years and my cousins used it as a play thing and jumped all over it. I will find some photos of when it was new and forward them. 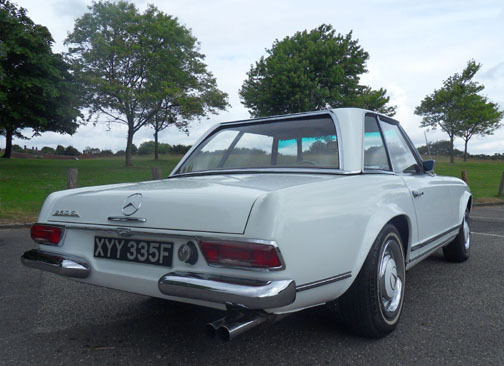 I have heard many stories about these cars over the years; the most prominent being the time may dad and his friends instructed the air traffic control not to allow planes to land at the airport whilst they raced their cars down the runway. 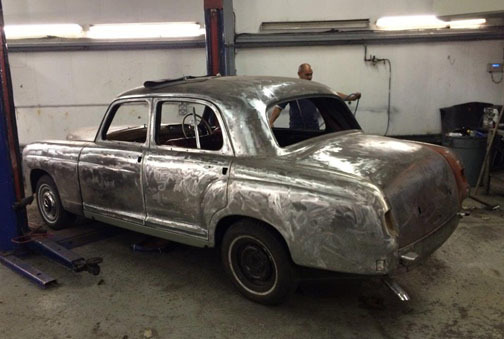 The 220SEb sedan was a hard car for many competitors to beat – many Jaguars and other British sports cars, which belonged to the British Ambassador's sons, etc. were beaten and terrorized by this car. The cars are a part of my grandparent's estate who died 15 years ago. Unfortunately when there is a lot of money involved, families argue, and disputes arise. Consequently, these cars cannot be sold, resolved, etc. until these issues are resolved. 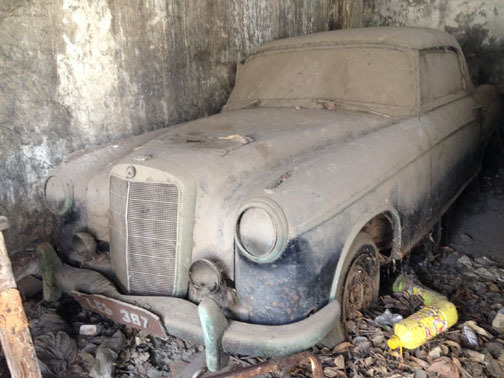 Mercedes-Benz Type 220a sedan in storage for 40 years in Pakistan. This was the car my father originally learned to drive in. 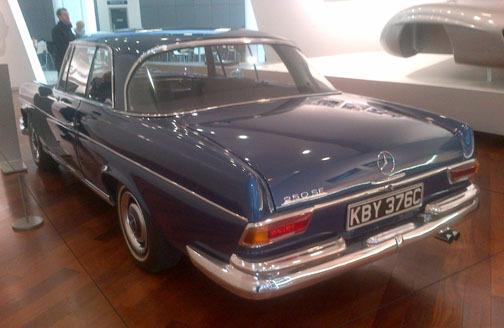 This is my W111 250SE coupé on loan after its restoration at Mercedes-Benz World at Brooklands – the Mercedes-Benz flagship branch in the U.K. It displays old cars as well as selling new Mercedes-Benz and Maybach. Located on the same site as Brookland Museum and the old race track. Brooklands race track is the first purpose-built race track in the World!